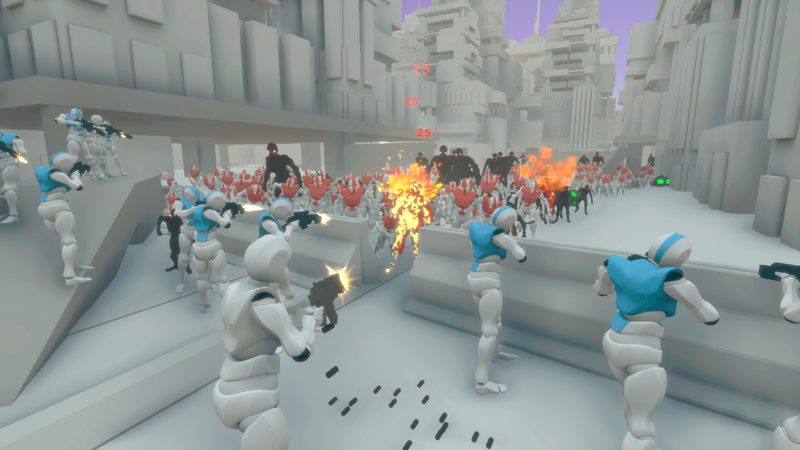 In Project BlockchainZ we want to develop the action of the game with a huge variety of battles divided in the defensive ones and the offensive others. Defend the bunker against the hordes of zombies attracted by the noise of your activity. 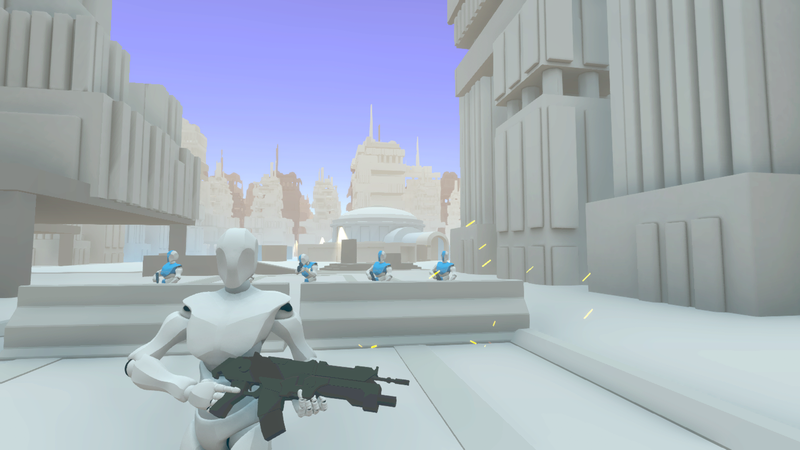 Defend yourself from the blistering raiders who want to spoil your BlockchainZ Ammo. Assault the Raiders Storages to get the valuable BlockchainZ Ammo. Clean up zombie-infested key areas. Anticipate your enemy movements: Predict and intercept hostile activity before they reach your bunker. 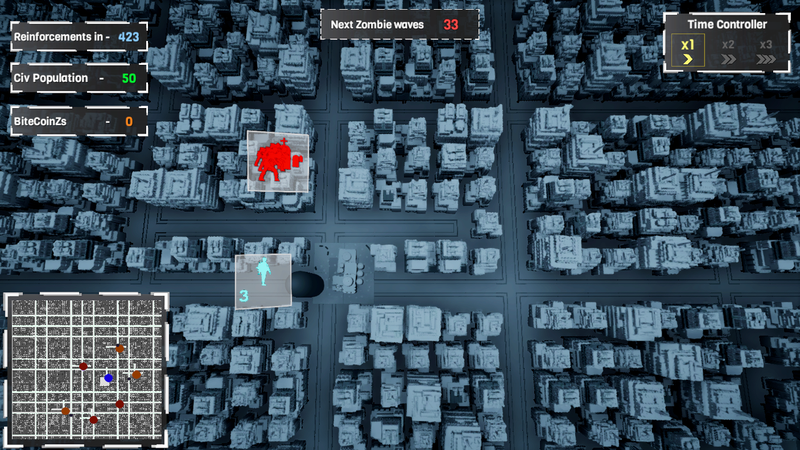 Place alarm bait: Really useful to attract the zombies attention. Place barricades: Not only to keep your soldiers away from the zombies but also to find some cover. Place explosive mines: these little bloody bugs can kill zombies and raiders easily. Place explosive barrels: Find a cool location for the barrels, place them and, once the enemy is closer to the barrel, just aim, shoot and enjoy. The simpler, the more successful. Defend your territory: With all the traps placed in and all the elements strategically settled, prepare your soldiers for the fight. No regrets! While fighting: strategy goes on! Get ready to think as quick as possible. The hordes of zombies and the attacks of the raiders are very fast. With the help of the Tactical View, as a player and also as the Captain of the platoon, you must array your troops to victory. Command your soldiers to any position in the battlefield and be the leader the world demands to be saved. Destroy the zombie tombs inside the hatchery and so you will stop the hordes of zombies. Do not hesitate: aim, shoot and reload! Spoil as much Bz Ammo as you can. But be wary of the raiders: they can counterattack. Remember: your mission is to keep the bunker in safe. Each every single survivor you find across the Worldmap is a little big victory.